Day number 4 started out with a flurry of activity as we transitioned between two resorts. 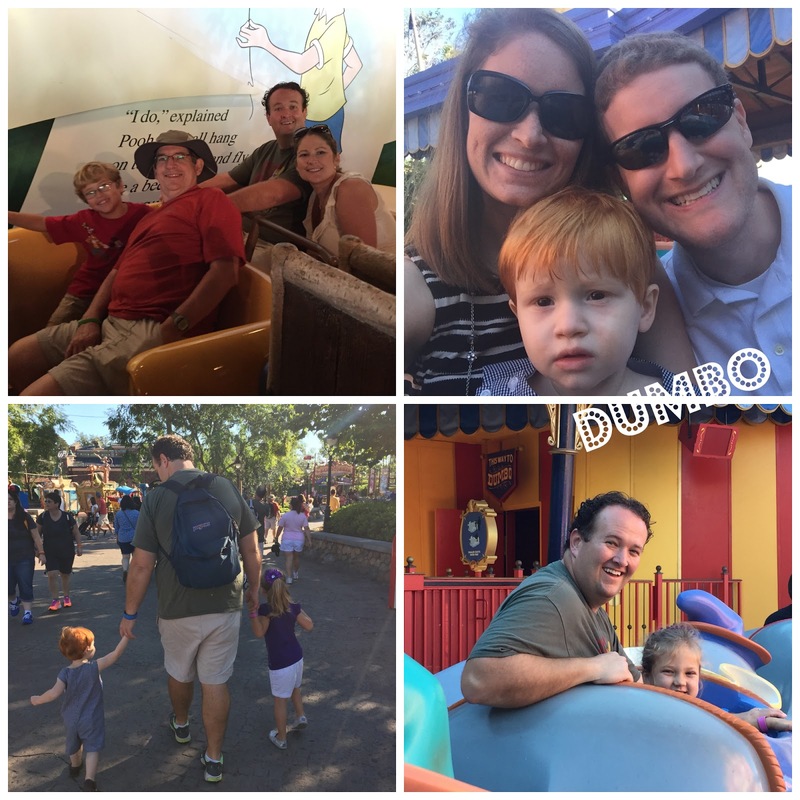 We did what is called in Disney-lingo a "split stay" where we spent the first 3 nights at Animal Kingdom Lodge and the last 5 nights at Bay Lake Tower (at the Contemporary Resort). Disney actually makes this really easy to do, as long as you don't mind repacking your stuff. They will move all of your bags for you magically during the transition day. We dropped our bags at the Bell Desk of our first resort and later that afternoon called the Bell Desk of our second resort and had them bring the bags up to our new room. We got a taxi between the two resorts early that morning so we could check in (though we knew our new room wouldn't be ready yet) and from there walked over to the Magic Kingdom. All of this happened early because we were at Magic Kingdom by 8:30 for rope drop. 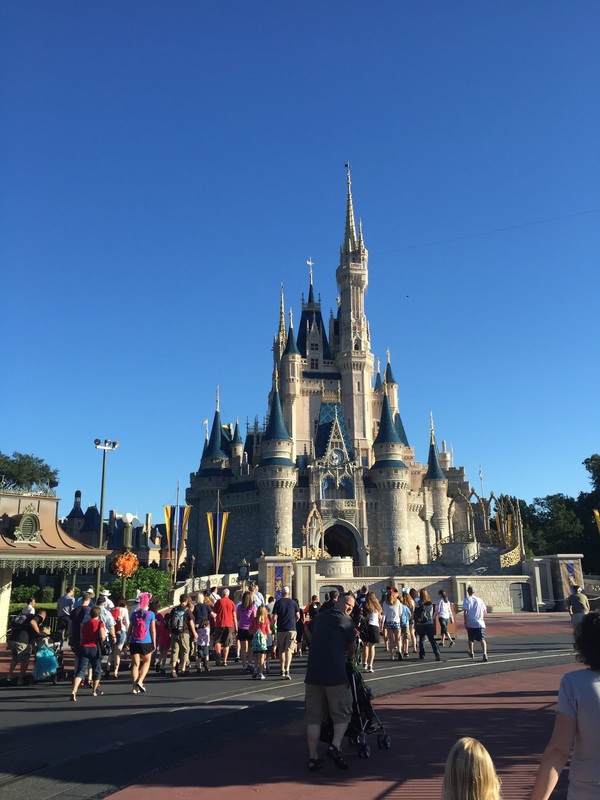 A big part of why we wanted most of our stay at Bay Lake was the fact that you can walk back and forth to the Magic Kingdom, where we would be spending the most time. 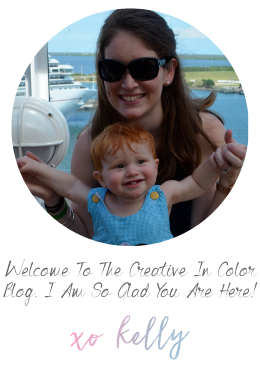 Bay Lake Tower is one of the newest Disney Vacation Club resorts and is really nice. I have to say it was a little strange this trip to not even see Magic Kingdom or the castle until day 4, and until after we had been to all 3 other parks. But we spent tons of time there from here on out. 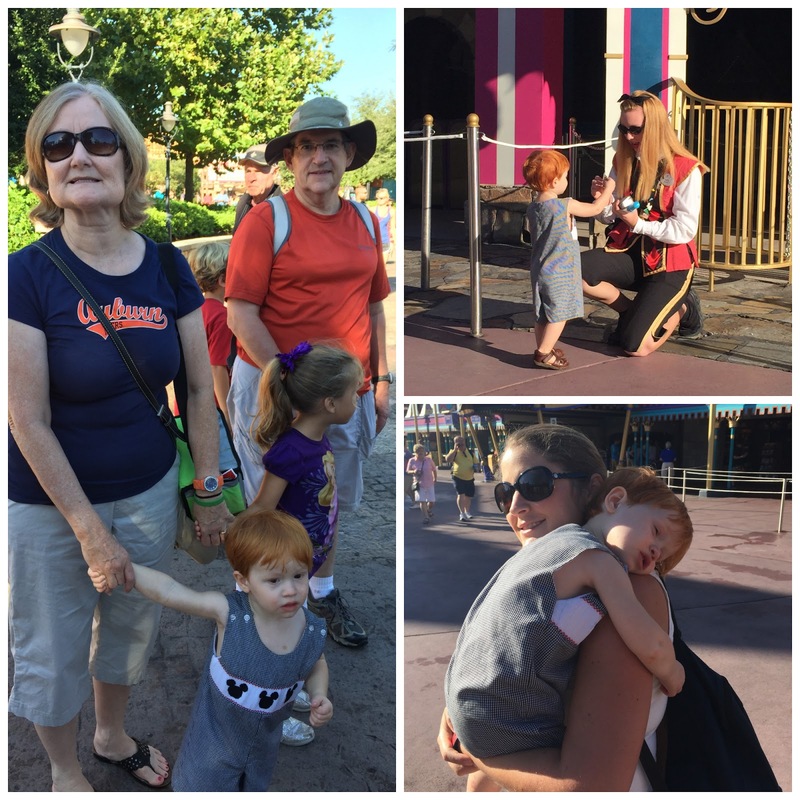 The whole family was in Magic Kingdom together this day and the first thing on our agenda was to hit all of the rides in Fantasyland. Perry made friends with a cast member while we were waiting on everyone to rendezvous. Cast members are always ready and armed with Mickey Mouse stickers to pass out to kids. Perry also got very attached to his Aunt Emily and wanted to be only with her for a while that morning. If you tried to take him away he would hold on tight with his head down. So sweet. 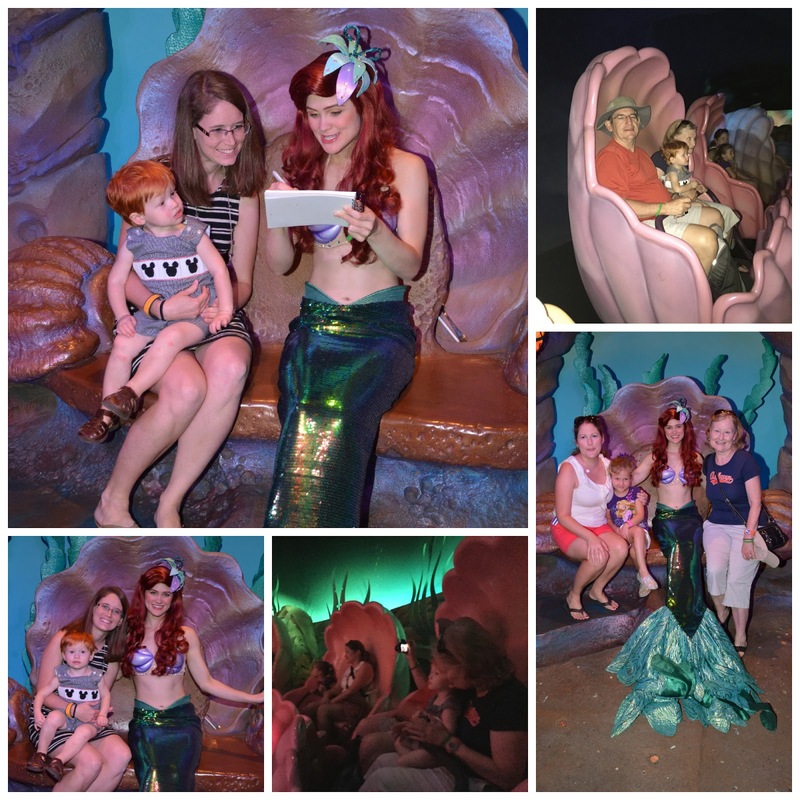 We rode Peter Pan (twice), Pooh, and Dumbo first and then we rode the Little Mermaid ride and met Ariel (in her fins). Perry wasn't very social with Ariel and wouldn't approach her on his own. He was actually pretty shy around most of the princesses he met during the trip. This all only took about an hour or so and we had a little break before our first fastpass of the day so we stopped over at Gaston's Tavern for a cinnamon roll to share. They are gigantic, and so yummy. It became one of our favorite snacks in the park. Then we decided to take a quick ride on the Carrousel. This picture tells you everything you need to know about how that went. Perry was miserable. The whole being "stuck" to a horse thing was just too much. So no more carrousel for him on the trip...but he was totally fine with the Haunted Mansion and Pirates...funny child. This was about the time Andrew said "should we just take him off?" 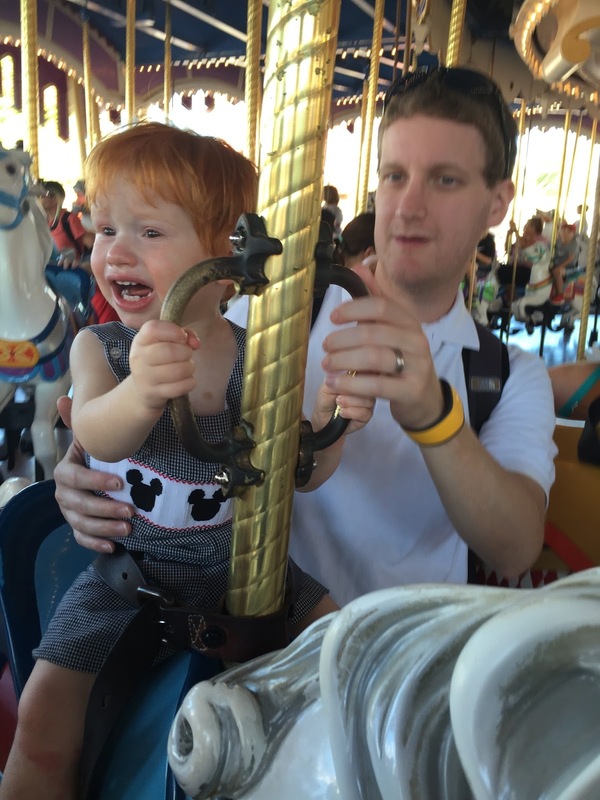 Proof that it is not all fun and games taking a toddler to Disney World (but most of the time it is). 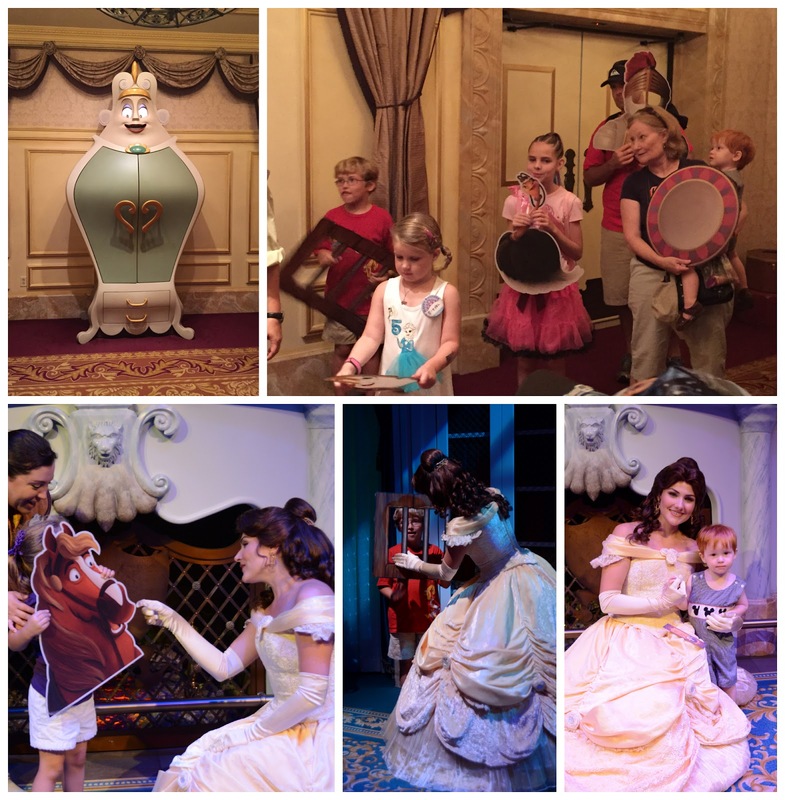 We had so much fun at Enchanted Tales with Belle though which was our first fastpass reservation for the day. We all got to do it as a family and all three kids had parts in the play. Perry's very first acting role ever is a dinner plate. And he did an excellent job. 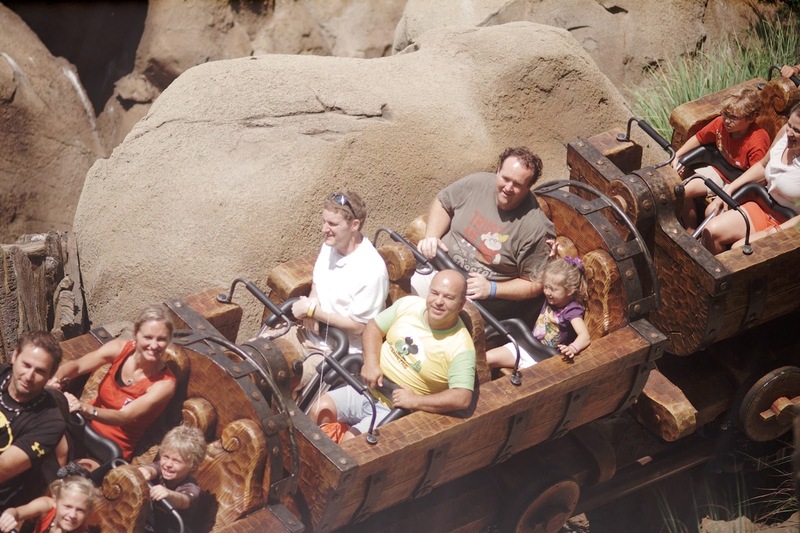 We also got to have our first rides on the newest attraction, the Seven Dwarfs Mine Train. 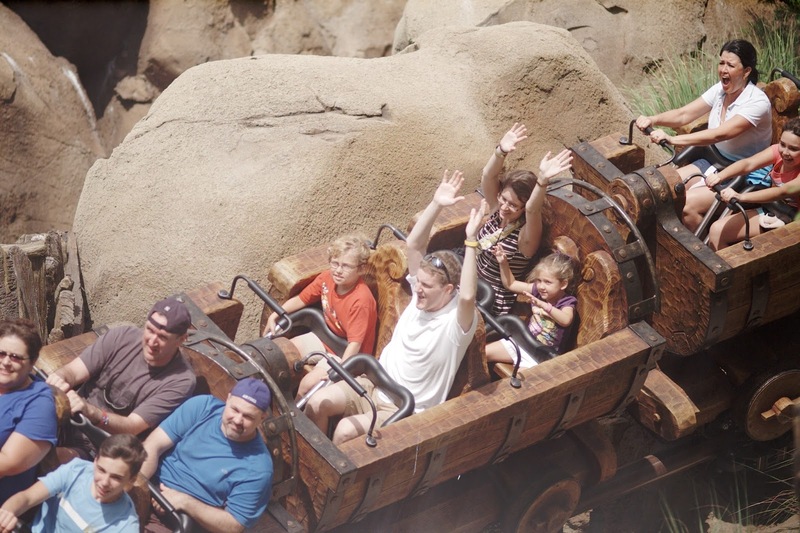 With rider swap (since perry was too little to ride), Ben and Kate and Andrew got to ride twice. It was fun, but nothing too crazy intense. Continuing with our Beauty and the Beast theme, we had lunch at Be Our Guest. I had eaten there for dinner last trip, but this was our first time for a quick service lunch at Beast's castle. We had snagged a fastpass for it ahead of time and even had pre-picked our food. Andrew and my food was excellent. 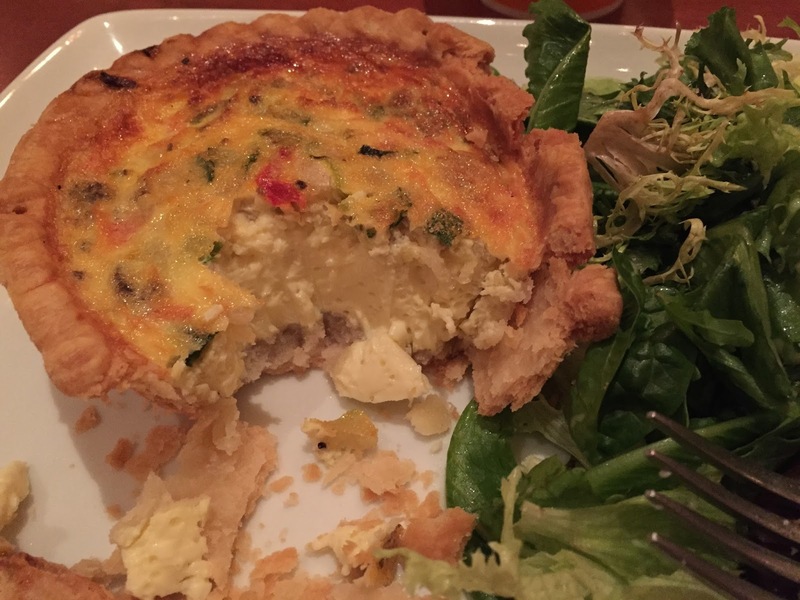 I had a quiche and salad which was a nice change from most everything else I ate last week. Perry's macaroni and cheese however was less than exciting. It was actually just bland noodles with a side of marinara sauce and shredded mozzarella cheese. I would steer clear of that in the future in favor of something else on the kids menu. We shared one grey stuff cupcake for dessert, which was as advertised quite delicious. After lunch we headed back to our new resort where our room was ready. It was time for a nap for P after a big morning of playing in the Magic Kingdom.